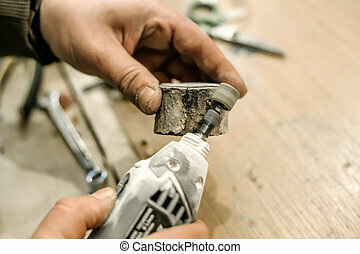 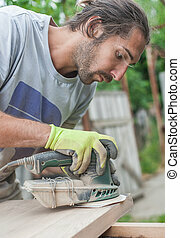 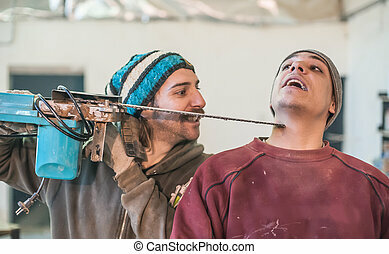 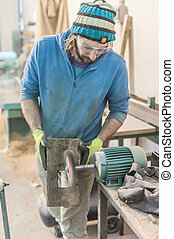 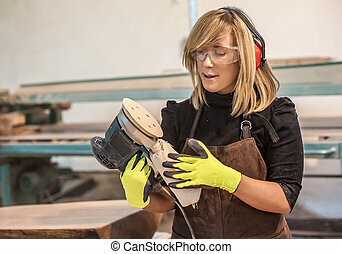 Carpenter using electric sander. 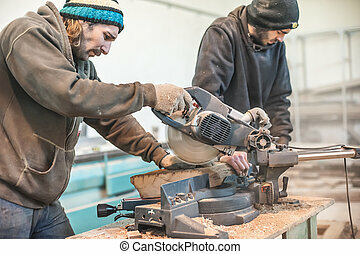 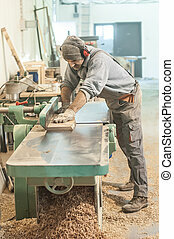 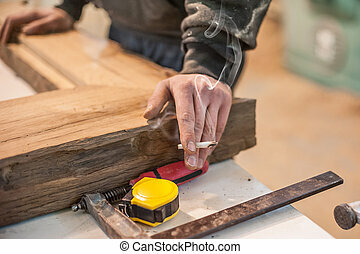 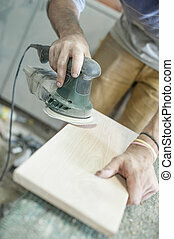 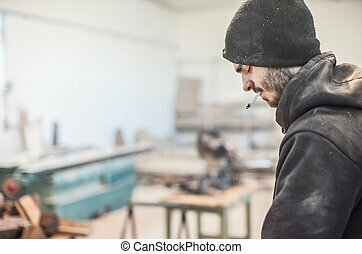 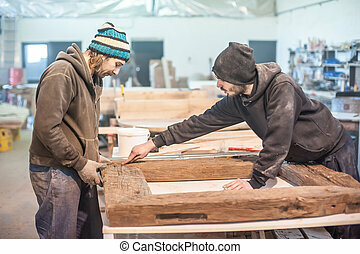 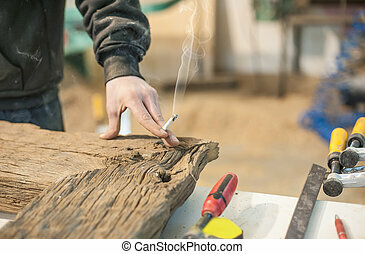 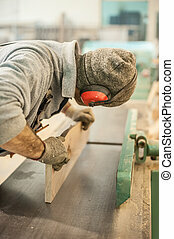 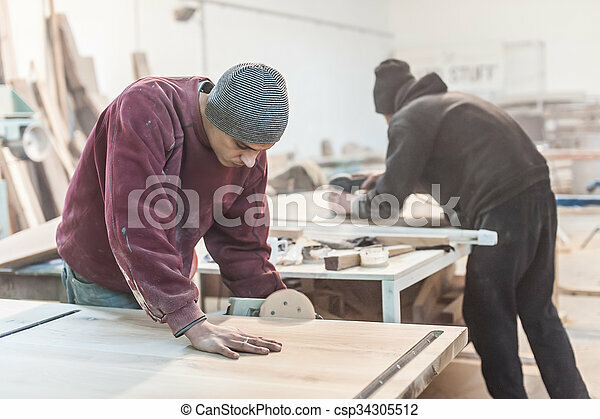 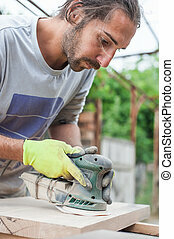 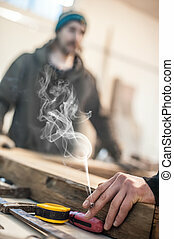 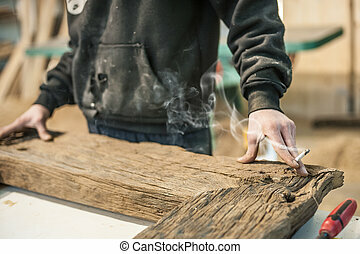 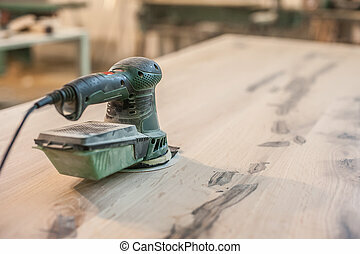 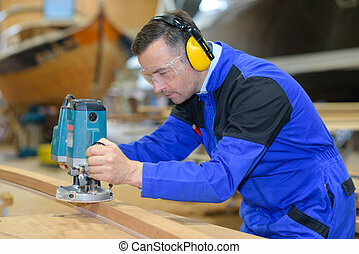 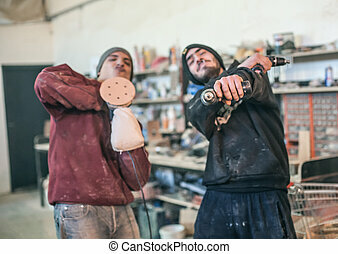 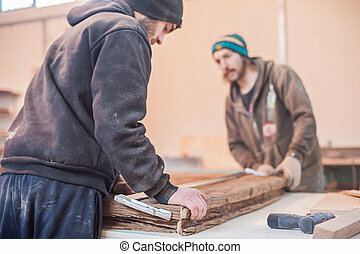 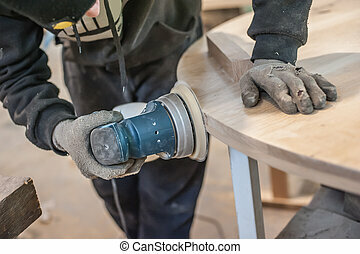 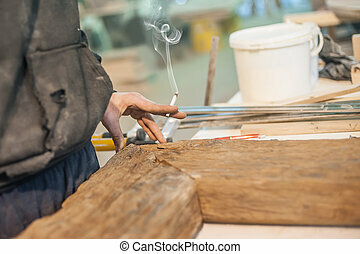 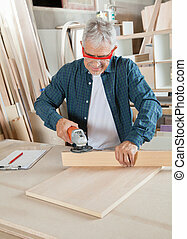 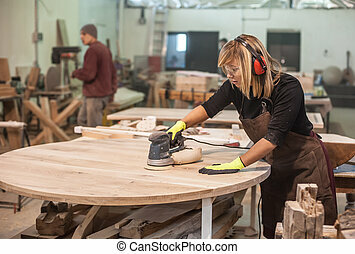 Carpenter sanding a wood with sander. 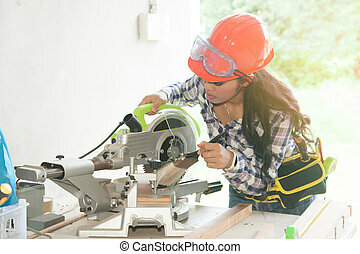 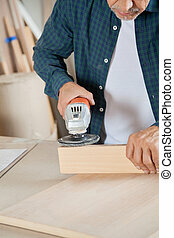 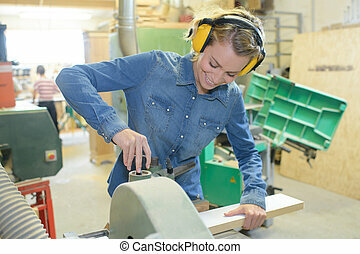 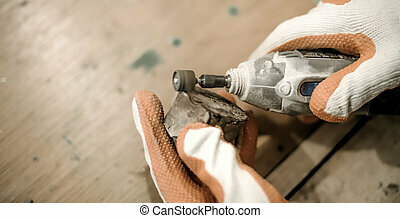 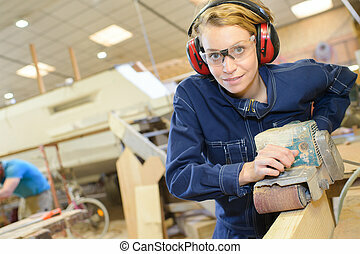 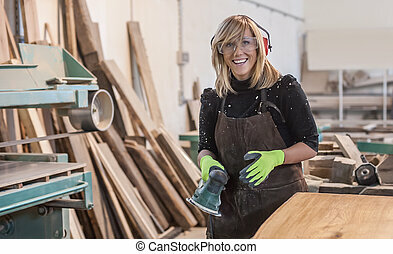 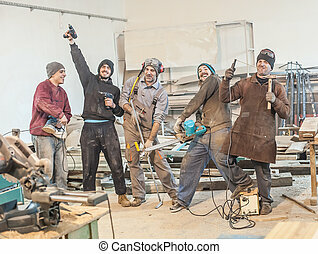 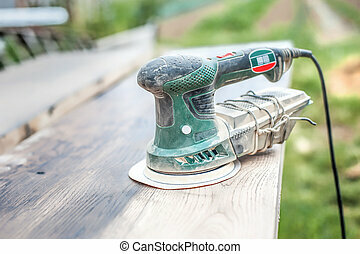 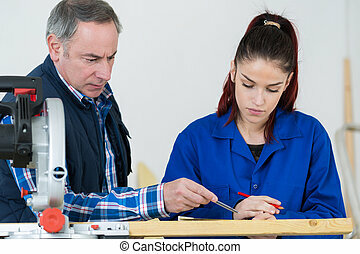 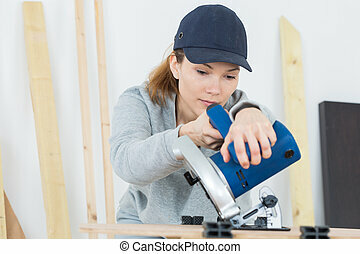 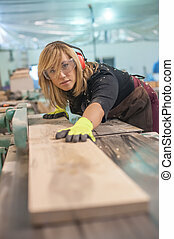 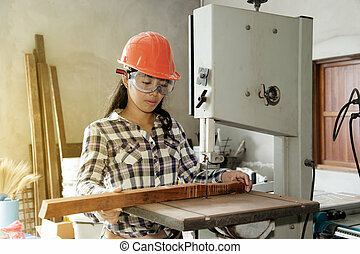 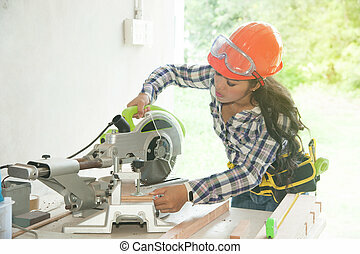 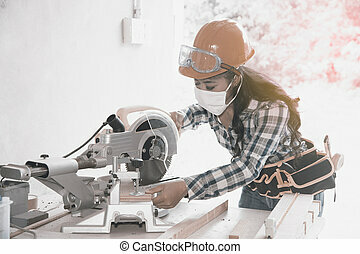 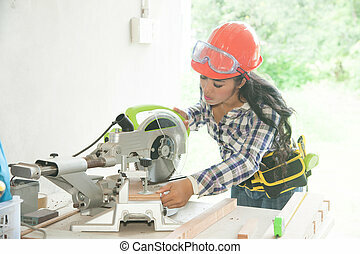 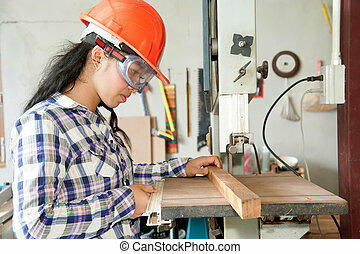 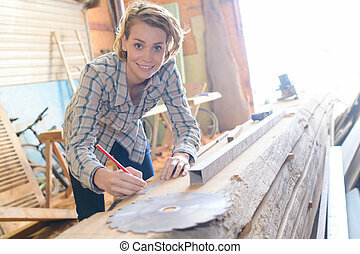 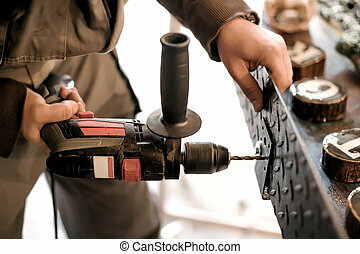 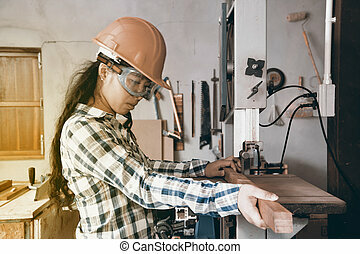 Asian pretty female carpenter Using Electric Sander for wood.